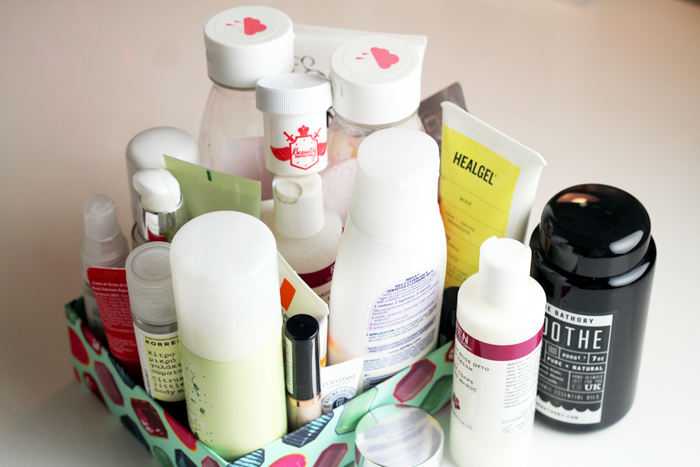 After making a real effort to start using things up completely, it's SO good to see my empties box getting full relatively quickly. I'm trying to downsize my stash dramatically and end up with a few things that I really love - writing this post is so cathartic. Over the weekend I halved my wardrobe & took things to the charity shop and I guess this post is the equivalent of that. - I have a lot of love for the whole Rose Otto range. Pricey but so lovely! - A really fabulous concept, being able to choose which oils you want to add to your soak makes it feel a little more personalised. I opted for oatmeal, honey and buttermilk & the scent was insanely nice. The only issue I had was that I only got 2 baths out of the jar and at £18 it's definitely a treat product. Would make a really nice gift I think, the packaging is beautiful. - I really liked this. The full size is £8.95, which is a little more than I'd usually like to spend on a body wash but I'd consider it for sure. - I adore this mask, I've been through countless tubes and it's a fabulous one to have in your stash in you have dry skin. - Such a lovely body oil, it's pretty perfect. - Not too greasy, but very hydrating. - Like I said, I'm pretty crazy for this whole range! - It's nice but I'm not entirely convinced it's £40 nice, you know? - This can has been sitting in my stash for the longest time and I'm actually quite relieved to have finally finished it! L'Occitane products are always lovely, I've never been disappointed by anything from range. - I've lost count of the number of these I've been through. Sure it's just water in a can, but it's really nice water in a can! - I think it's time to admit that Make Up Revolution and I just don't get along. - My second little pot of this and I think that once I've used up my current eye cream I'll go back to this one. A bunch of lip balms! - Do lip balms multiply in the night? I seem to have so many! - Not quite empty yet, but it's pretty close. I've been using this multiple times a day ever since the cold weather really began and it's been perfect at combating dry skin. 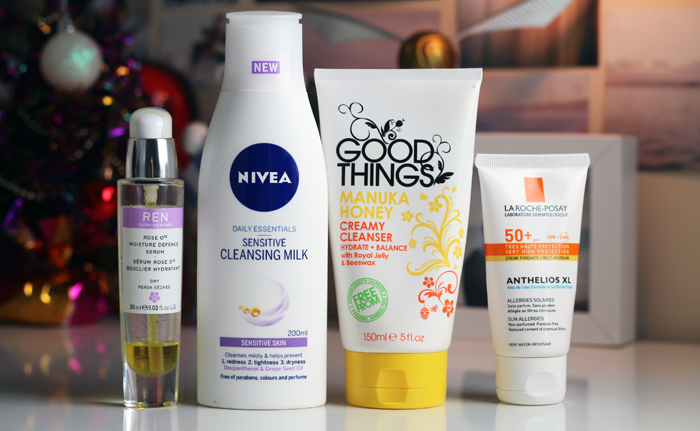 - A very simple cleanser that doesn't promise too much and I like that. - Another really nice, no-fuss, no-frills cleanser that's affordable and does exactly what it promises to. I would definitely repurchase this one. - And the award for the best scented shampoo goes too...this! 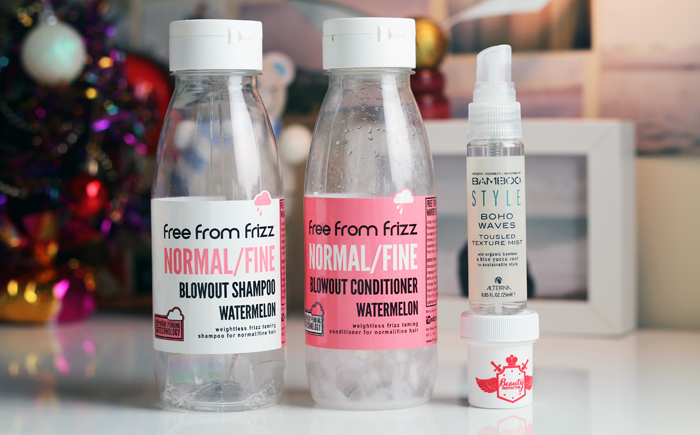 It didn't do anything to help with my frizzy hair and I'm not sure I'd repurchase, but I enjoyed these while I had them. - Apart from the scent, I liked this. It did what it promised and wasn't sticky or heavy feeling. -This whole range is fabulous! I've never been excited about a hair product before but everything is so right about this brand. The scent is so lovely too and it actually lingers in my hair for a long time. Nice! I really like the "nice water" in the can too ha ha! :-) So tempted to get the REN Rose body products now! I've had to make more of an effort to use things up - my bathroom cabinet was getting out of control. It feels really satisfying and great to actually make a decision ona product after giving it a fair chance! 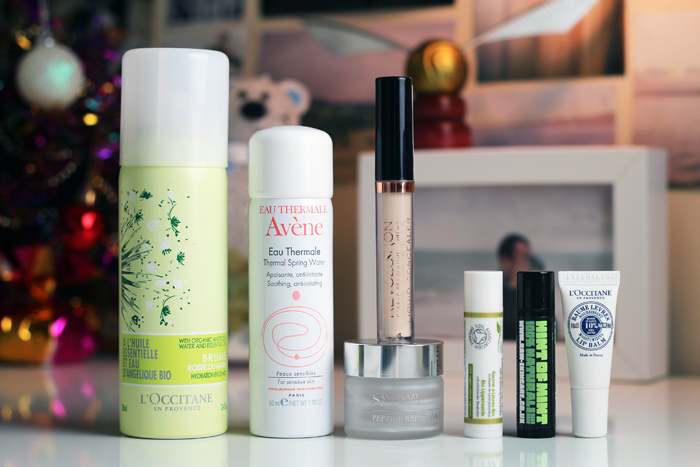 I want to try the REN products, lovely post! love your little run down on your empty products, very handy to know what you think. I think i need to introduce some Ren products into my life! I've tried the Rose Otto hand cream and it remains one of the nicest hand creams I've ever tried. I'm very curious about the Rose Otto body oil now. REN can do no wrong. Did you find the Anthelios SFP oily on your skin? I almost bought it this past summer but I read so many conflicting reviews and I chickened out. This is one of the nicest empties posts I've come across. They're normally quite sloppy. Ah, I've really been wanting to try Ren for a while now! I've still got all my body washes to use up though, so I'm trying to be good with that! I know Evian makes a water face mist in a can and I was about to buy it, until I realized that it's just literally water in a can. There's really good reviews on these types of products though! Loved the quick-fire nature of this post! 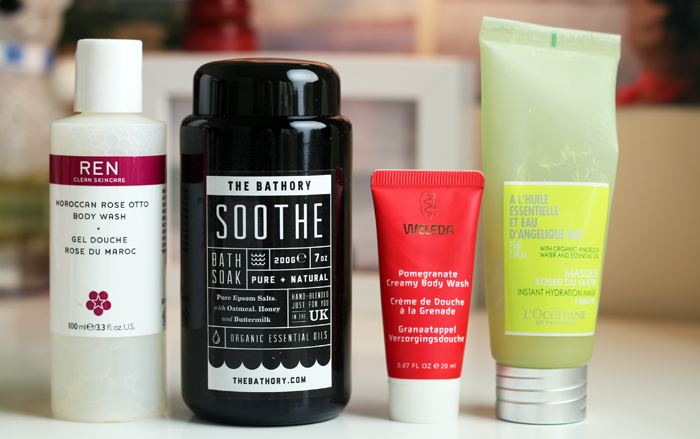 It's really given me a few recommendations of products and ones to miss.